Manuel started his professional career as an entrepreneur and the entrepreneurial spirit is something that runs in his veins. This spirit is why he got into the advertising business. He was in charge of managing the small advertising boutique El Taier, Manuel and his team has accomplished to position the agency in the best agency in the Central America Region according to Festival Antigua 2015 and also the Best effective agency in Guatemala according to EFFIE Guatemala in 2015. 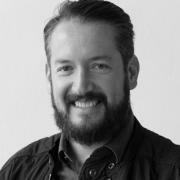 Manuel has been named president in 2016 for the Central America region by DDB Latina.